Lightning Components framework fires several system events. In this blog we'll look into what set of System events are fired in what scenario. This helps us keep business logic in appropriate event handlers. In the earlier Part 1 post, we looked into what System events are and how they work in Lightning Components framework. In this part, we’ll look into which events are fired and in what order for couple of common scenarios. Understanding this will help us know where to keep our business logic and avoid taking performance hit. So let’s take a look at various scenarios. Finally it fires afterRender to allow us to further change an already rendered component. Similarly handle animation in afterRender. valueChange to allow us to listen to some attribute to do something. This scenario is run whenever any attribute value of the component is changed. So these are run multiple times! Keep any logic that needs to be updated whenever there is a change. 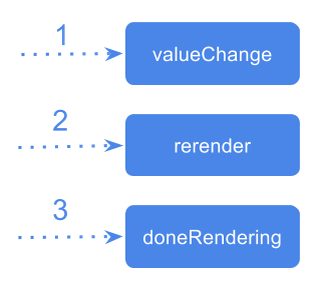 However valueChange, rerender and doneRendering are only fired if our business logic changes some attribute value of the component. Framework fires an unrender event when the component is deleted. 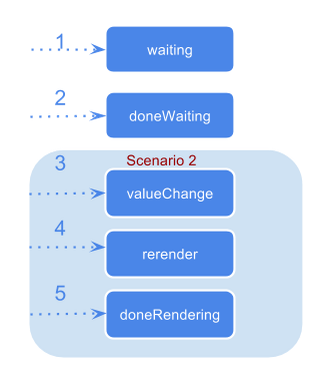 Some set of events are triggered only once (those in Scenario 1 and Scenario 4), whereas others are triggered multiple times (those in Scenario 2 and Scenario 3). Use Helper to refactor and keep logic across scenarios. 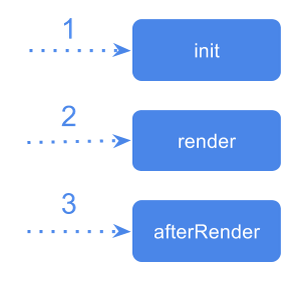 For example: if you want to animate when the component shows up (scenario 1) and also when it’s updated(scenario 2), you can keep the logic of “afterRender” and “doneRendering” in a Helper. Note: This blog covers only a subset of system events that are most commonly used. There are several other System events like valueDestroy, locationChange and so on. You can see all of them in your-salesforce-instance/auradocs reference app that runs inside your org. What a conference! What a year!